At Bristol Dental Clinic, we are proud to specialize in dentures. In fact, we even have a denture laboratory on site, reducing the time you have to wait for your brilliant new smile. Dentures are a removable prosthetic device generally used to replace most or all of your teeth. Drs. Laban and Monica Bontrager offer both complete and partial dentures. Complete dentures, also known as full dentures, are used to replace all of the teeth in your lower or upper dental arches, or both. Shaped like horseshoes, complete dentures rest snugly on your gums. Partial dentures work in similar fashion, but they are used when there are still some natural teeth remaining in your smile. Partial dentures are often supported by metal framework. There are many advantages to choosing dentures. Dentures are more affordable than other replacement methods and are also non-invasive. Thanks to our denture laboratory, we are able to fabricate your dentures in a fraction of the time required by the traditional process. Dentures are removable, comfortable to wear, and comfortable to clean. Changes are also more easily made as your gums or remaining teeth move or shift. To learn more about dentures in Bristol, Florida, please contact our dentists today. 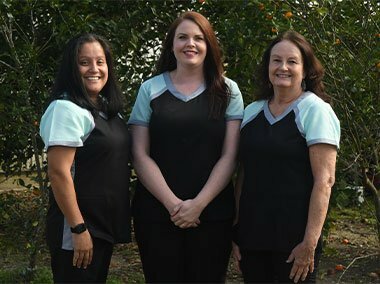 We are excited to restore your beautiful smile!